Crypto Bit Trade provide no information on their website about who owns or runs the business. Linked off the Crypto Bit Trade website is the company’s compensation plan however, which names Joe Yagudaev and Ramon Escalera as co-founders of the company. Ramon Escalera (right) first popped up on BehindMLM’s radar last year, as admin of the 25 Dollar Legacy pyramid scheme. After 25 Dollar Legacy collapsed, Escalera returned with Platinum World Team Build. Platinum World Team Build is a Ponzi scheme offering a $166,800 ROI on $100 investments. Alexa traffic estimates for the Platinum World Team Build website show s sharp decline since June, suggesting it has collapsed or is in the process of collapsing. As I write this and somewhat curiously, a few hours ago on Facebook Escalera was promoting Nspire Network. Joe Yagudaev (aka. Joseph Yagudaev) launched Elite Profit System about a year ago. 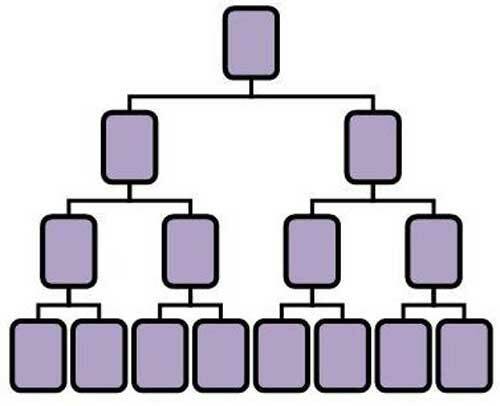 Elite Profit System is a pyramid scheme, through which participants gift each other $500 to $25,000. Alexa traffic estimates for the Elite Profit System website show little to no interest throughout 2016. In 2017 there was a spark of activity in May but by mid-July Elite Profit System traffic was plummeting again. The collapse of both Platinum World Team Build and Elite Profit System has likely prompted Escalera and Yagadaev to team up and launch Crypto Bit Trade. Read on for a full review of the Crypto Bit Trade MLM opportunity. Crypto Bit Trade has no retailable products or services, with affiliates only able to market Crypto Bit Trade affiliate membership itself. 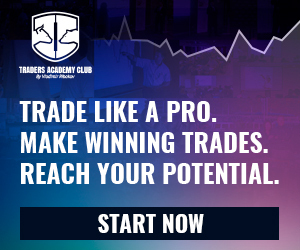 Once signed up, Crypto Bit Trade affiliates gain access to CBT Academy. CBT Academy offers powerful cryptocurrency education training products and services. Education at CryptoCurrency is where you can learn anything and everything that has to do with cryptocurrencies. From the basics to the latest information. We’ve searched far and wide to bring you the best publicly available educational content on digital currencies, sorted by subject and level. Crypto Bit Trade affiliates invest 0.1 to 16 bitcoin on the promise of a 200% ROI, paid out at a rate of 1% a day. Residual commissions on downline invested funds are paid out via a binary compensation structure. Crypto Bit Trade track new investment volume on both sides of the binary team. At the end of each day volume matched on both sides of the binary team generate a percentage commission. Crypto Bit Trade reward affiliates with Exclusive Bonuses based on their personal recruitment efforts. These bonuses are subject to change depending on the value of BTC. Once you reach the specific amount of referrals, you will need an average of 2 BTC in total of what your personal referrals came in or upgraded to. Also, these bonuses are calculated on 1 BTC worth $2800. If the value of Bitcoins is lower or you averaged anything less than 2 BTC, you will still qualify for the bonus but will be less. The primary difference between the packages is income potential via the Crpyto Bit Trade compensation plan. As is typical of MLM companies who make this claim, Crypto Bit Trade provide no evidence linking cryptocurrency trading and mining to affiliate ROIs. That leaves affiliate investment the only verifiable source of revenue, the use of which to pay a 200% ROI makes Crypto Bit Trade a Ponzi scheme. On top of that Crypto Bit Trade are engaged in pyramid fraud, with affiliate investors paid to recruit new investors. Raymond Escalera’s Facebook profile cites his location as North Carolina in the US. Joe Yagudaev cites his location as New York. MLM investment opportunities in the US require registration with the SEC. Perusal of the SEC’s Edgar database however turns up nothing for “Crypto Bit Trade”. This makes Crypto Bit Trade’s investment opportunity an unregistered security, with Escalera and Yaguadaev potentially up for wire fraud should the SEC investigate. Even if that doesn’t happen, the math behind a Ponzi scheme sees most investors lose money. Crypto Bit Trade is no different. A 1% daily ROI capped at 200% will see initial investment amounts exhausted at around 75 days (factoring residual binary commissions). After that they’re using whatever was subsequently invested. This creates an ever-growing liability that operates on borrowed time, eventually resulting in a collapse. Crypto Bit Trade offers zero refund on all membership plans, services and products. Crypto Bit Trade’s use of bitcoin makes victim fund recovery extremely difficult, if not near impossible. Bear that in mind when you’re handing over your money.